Take the wonder out of moving during the winter months with TWO MEN AND A TRUCK®. With the snow flying outside and the temperature dropping, inclement weather can make for hazardous moving conditions that can prolong your move. Below are frequently asked questions our customer service representatives get asked during the colder months, along with the answers to clear things up for your winter move. 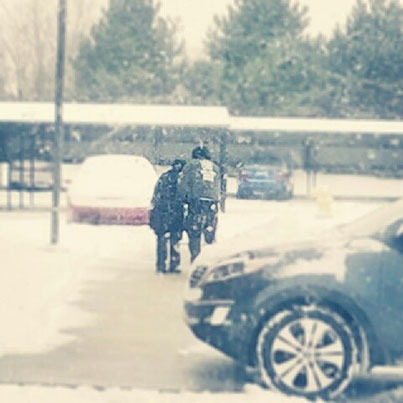 Q: If it is snowing, sleeting, or raining, will the movers still complete the move? A: Yes, our movers will still complete moves even in precipitation (hail, drizzle, snow) unless it’s truly severe. For example, if it starts to snow hard enough that it is not safe or the movers cannot see ahead of them, they will wait it out in the truck. Typically these types of weather breaks are not on the customer’s bill. Please keep in mind that travel may take longer due to hazardous roadways. We want to ensure not only the safety of our movers, but also your belongings. Q: Does my sidewalk and driveway have to be clear of snow and ice? A: The movers will shovel and salt your walkway or driveway for you, but the time it takes to do this is an expense of the customer. To save money, it is best if this task is taken care of in advance. For safety purposes, it needs to be done before the move can begin. Q: If it gets really cold, will the movers continue to work in low temperatures? A: The movers will dress accordingly, but if it gets too cold, they are encouraged to take breaks to warm up either in the customer’s home (with permission of course) or in the truck. Additionally, this time is not usually counted toward the customer’s final bill. Q: What is the protocol in blizzard-like conditions? A: Our movers are allowed to take breaks at their discretion. If the weather is hazardous and poses safety issues, they are encouraged to break. If the weather is too extreme, the customer always has the option to reschedule. Q: Will my belongings get snowed on and wet? A: Almost every piece of furniture will be stretch wrapped, but ideally we encourage customers communicate with the movers about those possessions they’re most concerned with. This allows the movers to ensure proper and extra protection of special items during the move. The customer can even request to have their items pad wrapped, in which the movers put a furniture pad over your belongings then wrap them with stretch wrap for ultimate protection against the wintry elements. Mattresses are not usually stretch wrapped, so it is up to the customer to purchase mattress bags prior to the move. The movers will be happy to put them into the bags for you. Q: Will my plants and pets be too cold in the truck during the move? A: TWO MEN AND A TRUCK® cannot move anything living in the truck. The customer must take all living things with them in their personal vehicle where they will be safe and warm. Holiday moving tip: If you’re moving around the holiday season, and need your presents moved, make sure to mention it to the movers. They can organize the move to take extra care of them. They will even make sure to place the presents in the truck so they’re hidden and will unload them before your kids get home. The customer should also ensure the garage and driveway are clear of vehicles so movers can back the truck up as close to the door or garage as possible. This helps the move to go quicker, more safely, and as dry as possible. Communication becomes even more critical during the winter months so please communicate with your movers and ask questions; they are very happy to help any way they can so you stay warm and comfortable throughout your moving experience. 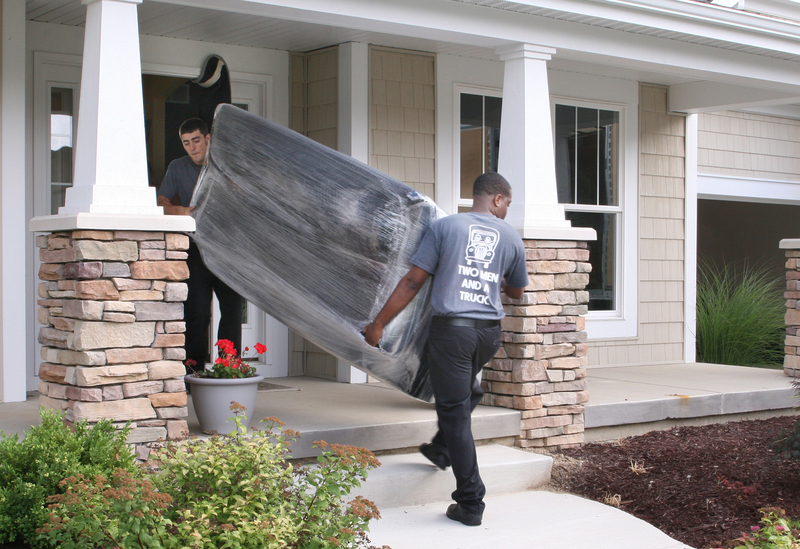 Hiring TWO MEN AND A TRUCK® allows you to leave the moving to the pros! Whether you plan to relocate down the state, or across the country, the following tips can aid you in your move. At least try to manage all things before one month of relocation. Sooner you start manage things lesser will be wastage of time.